write to Luc Lauzon or Natacha Fontaine. 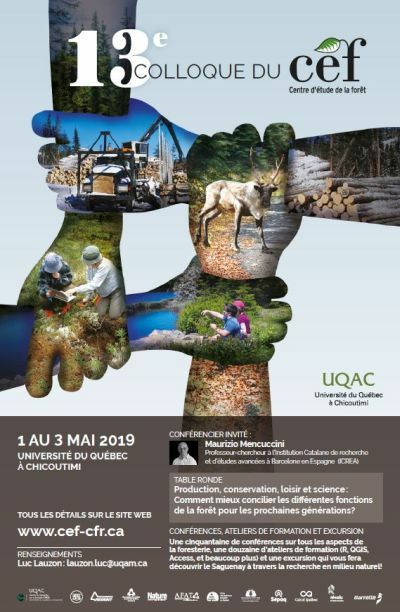 ************************************************************************ ************************ Intro Francais ******************************** ************************************************************************ We are pleased to invite you to its 13th annual conference, which will be held from May 1st to May 3rd 2019 at UQAC. The conference is open to all partners of the CFR as well as the entire scientific community. 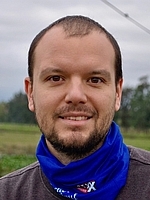 The CEF is pleased to welcome, as guest speaker, Mr. Maurizio Mencuccini, Research Professor in forest dynamic at the Catalan Institution for Research and Advanced Studies (ICREA). Dr. Mencuccini works at the frontier between biological and environmental sciences, interfacing with global change. His main interests are in the study of forest dynamics, particularly carbon and water cycles. He has worked in the boreal, temperate, tropical and Mediterranean forests of Europe, North and South America, Australia and Africa. He has published more than 170 peer-reviewed articles. He is very involved in international debates concerning how longer and more intense droughts, resulting from climate change, can accelerate tree mortality. 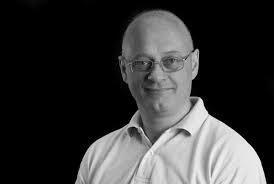 He also works closely with the forestry sector on a range of themes including growth and carbon sequestration by forests using modelling, data assimilation and remote sensing. He has supervised more than 40 scientists, more than 20 of whom are still active in high-level university or university positions. He also advised the Kenyan government on payment systems for ecosystem services. 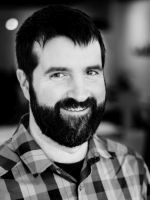 He has published frequently with Frank Berninger, associate researcher at CEF. Services provided by the forest are multiple: woody and non-wood production, ecosystem protection, conservation of cultural and spiritual inheritance and recreational function. Are these functions in competition, or can they be reconciled? How will the demand from different actors change over the next few years? What are the future options for securing these services? The round table will be animated by Olivier Riffon , professor in eco-consulting at Université du Québec à Chicoutimi. Ph.D. in regional development, he specializes in tools and approaches for the implementation of sustainable development, social and ecological transition, education for sustainable development and the integration of participatory and collaborative methods in sustainable development. process of applying sustainable development. Professor in forest ecology, my research focuses on soil-plant relationships, and the impact of natural and man-made disturbances on ecosystem functioning (emphasis on carbon and nitrogen cycles). I also work in diversity plantations to better understand biodiversity and functioning relationships. I work in many settings, especially the boreal forest and now the ecosystems in the city. As Director of Forestry at Resolute, it is my responsibility to ensure that forest planning carried out in collaboration with the Department of Wildlife and Parks Forest in the area can adequately supply our forests with wood. sawmills and pulp and paper mills in Lac-Saint-Jean. This planning must respect the regulations in force but also the rigorous certification standards to which we adhere. This must of course be done respecting the values ​​of the users and the traditional activities of the Aboriginal peoples of the territory. It must also provide predictability sufficient and necessary for the success of any business. A native of Mashteuiatsh, he participates in the cultural life of his nation as an artist and in promoting family knowledge. He has managed local and provincial media communication organizations, while ensuring that First Peoples' culture is valued first. It is a reference for the practice of the habits and customs of the nomadic and sedentary lifestyle and the food of the First Peoples. He joins a creative team promoting the cultures of the First Peoples, grafting his artistic and cultural gaze which greatly fascinates him. Lorie Ouellet is a professor at the Outdoor Intervention Teaching Unit and a researcher at the Laboratory of Expertise and Outdoor Research (LERPA) at the Université du Québec à Chicoutimi since 2011. Her main areas of expertise are related adventure tourism and expedition leadership. As for his research, they include the characterization and development of outdoor activity areas. "Forest responses to drought: from tissues to biosphere"
The workshop detailed is available in this page. You have to register for the three days of the conference to participate to the workshops. You can choose your workshops while registering online. Breaks will take place from 10:00 to 10:30 in the morning and from 15:00 to 15:30 in the afternoon of a duration at the discretion of the animator. The official poster session will take place on Thursday at 12:40 at the Cafétéria - MAGE-UQAC (social center), but most of the posters will be on display throughout the Conference. The best poster contest is reserved for CEF student members and only these posters have a number that you will use to vote. Other affluents are indicated by the code NM/NE meaning Non-Member / Non-Étudiant. Appointment at the small gymnasium of the UQAC Sports Pavilion. Registration, team training and explanation of the rules of the game will be done on site. Kin-ball is a team game that was invented in Quebec. The game consists of teams of 4 people and aims to send the oversized ball in a specific place. The teams will play in turn as in a tournament. 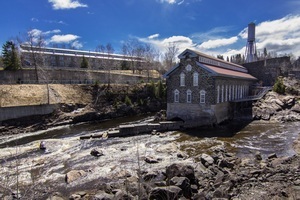 A treasure hunt in the enchanting and historic site of La Pulperie de Chicoutimi starting at 6 o'clock. Participants will move to the pulperie site to visit the buildings dating from the early twentieth century. A cold and hot buffet in the "grand hall" of the main building. Tasting of a fir beer specially designed for the event, in collaboration with the Menaud brewery of Charlevoix. Opening of an exhibition/artistic work resulting from a collaboration between students from the Department of Fundamental Sciences and the Arts Department of UQAC. "Symphonies boréales" is a multidisciplinary auditory and visual work centered around a set of symphonies obtained following the musical transcription of the growth of more than 700 trees making up about twenty boreal old-growth forests. This exhibition is based on the research results of Maxence Martin, doctoral student at UQAC and member of the CEF and was conducted in partnership with Frédéric Tremblay, Joanie Simard and Alexa Tremblay-Francoeur, from Department of Arts, and Valentina Butto of the Department of Basic Sciences and member of the CEF. Register before April 7 th ! Fees include coffe breaks and lunches for the two or three days of the conference. Bird watching at the flats of Saint-Fulgence - Only Wildlife Refuge in the Saguenay-Lac Saint-Jean region. Located at the head of the Saguenay Fjord and at the foot of Monts-Valin. Briny marsh characterized by halophytic vegetation 100 km from the St. Lawrence estuary, a spit (geological formation) and an unlimited Duck development. By this date, waterfowl should be at the rendezvous. Monts-Valin National Park - Summit at 984m overlooking the landscape of Saguenay-Lac-Saint-Jean. Visit of a permanent plot constituted by an ericaceous spruce forest equipped with devices for monitoring reserves and the use of water by trees and intra-annual growth. Phenology cameras, water flow sensors and automatic dendrometers. Facilities to analyze the effect of spruce budworm defoliation on phenology, water relationships, and growth in balsam fir and black spruce. Niobec mine tailings site - The only underground niobium mine in the world and one of the world's three largest producers of this ore. Production currently varies from 8 to 10% of the world's niobium volume. Visit of two experimental devices to test scenarios for the restoration of the tailings pond that promotes the fight against climate change. Bleuetière de Saint-Honoré - The industry started in the 1950s. 400 blueberry companies are now located in Saguenay-Lac-Saint-Jean. In 2012, the value of on-farm production was over $100 million. 85% of this production is exported. The Saint-Honoré blueberry mill is working with several university researchers to innovate production methods and understand the cold acclimatization of this plant, which is famous in the region. You must select the excursion when registering for the conference to participate. The fee is $30 for CEF members and $120 for non-members. The number of places is limited to 44. Priority to the first registered. 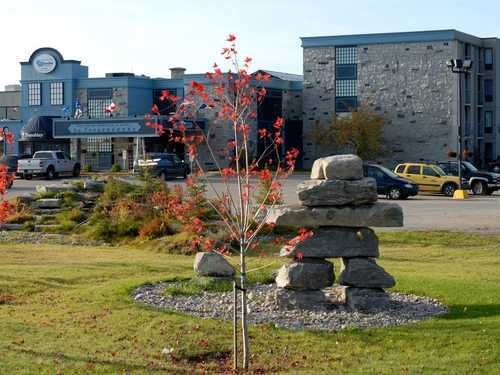 A 4-star hotel located a 15-minute walk from UQAC, Le Montagnais is both the largest hotel complex and the largest convention center in Saguenay-Lac-St-Jean. Rates per night, taxes not included. 12$ per additional person and 10$ per person for a breakfast. Book online or by calling 418-543-1521 or 1-800-463-9160. 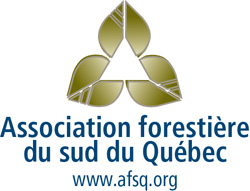 Mention "Colloque du Centre d'étude de la forêt". 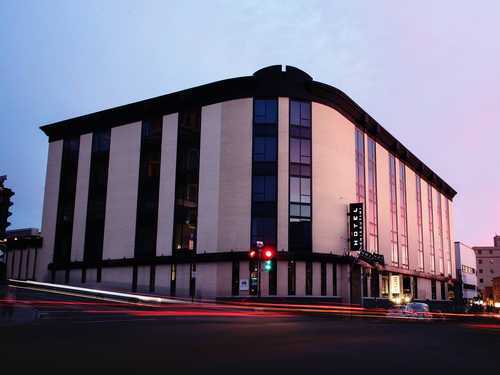 4 star hotel located on Racine street in downtown Chicoutimi, 20 minutes walk from UQAC, at the top of the hill! An excellent morning exercise! Rates per night, taxes not included, breakfast always included. 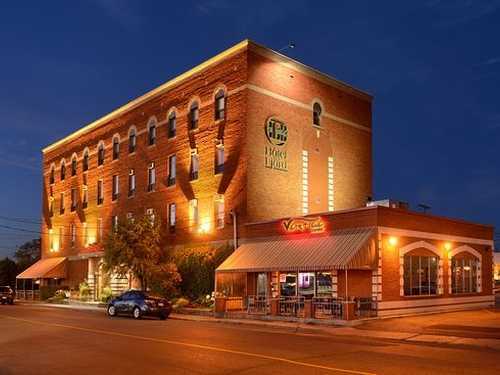 Book online , by writing to info@hotelchicoutimi.qc.ca or by calling 418-549-7111 or 1-800-463-7930. 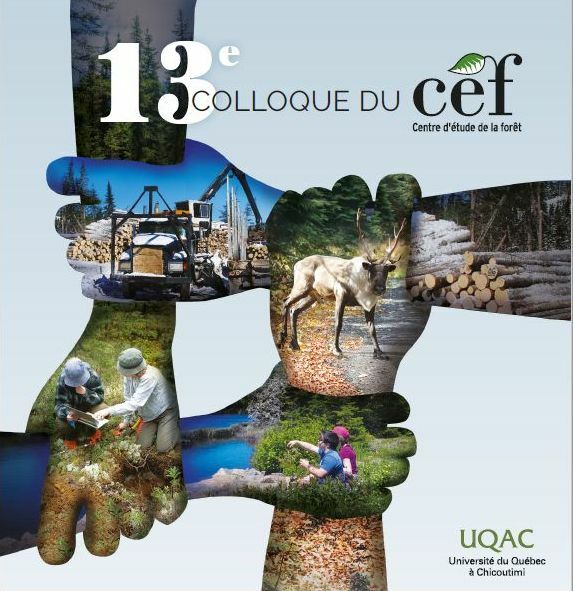 Mention "Colloque du Centre d'étude de la forêt". 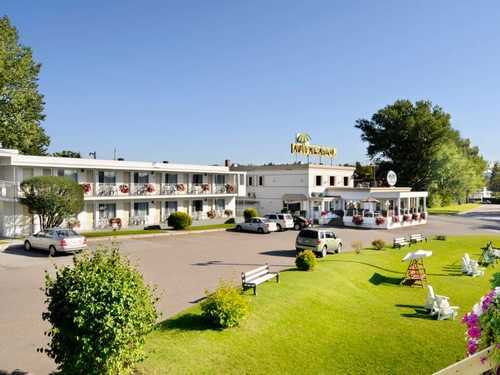 3-star hotel located on the highest hills of Chicoutimi 7 minutes by car from UQAC. Auberge Resto le Parasol offers an exceptional view of the city and the Saguenay River. Rates per night for up to two people, taxes not included. 10$ per additional person. Book online or by calling 1-866-543-7771. Mention "Colloque du Centre d'étude de la forêt". 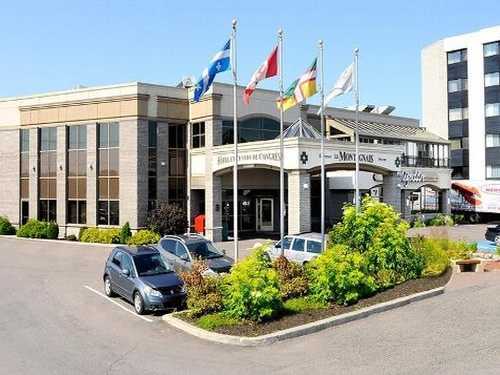 3-star hotel located in downtown Chicoutimi, just off the Saguenay, and 30 minutes walk from UQAC. Rates per night, taxes not included, breakfast always included. 12$ per additional person. Book online or by calling 418-543-1538 or 1-888-543-1538. Mention "Colloque du Centre d'étude de la forêt". Located 5 minutes drive from UQAC. Rate per night in single or double occupancy. Plus taxes. Book online or by calling 418-545-8326 or 1-800-461-8390. Mention "Colloque du Centre d'étude de la forêt". Located on the UQAC campus. Wifi access (via Eduroam) - Normally, all CFR students who are already connected to the Eduroam wireless network at their own university should be able to connect to the UQAC network without additional configuration. If this is not the case, we recommend that you configure your laptop BEFORE coming to the conference. The configuration instructions are almost identical from one university to another, but here are the instructions provided by each university: UQAM , Université Laval , Université de Sherbrooke , Université de Montréal , McGill , Concordia , UQAC , UQAT , UQAR , UQO , UQTR , TELUQ . Specific instructions for poster - Posters should be set in PORTRAIT format with maximum dimensions of 36 inches wide by 48 inches tall (90 cm x 122 cm). Read the following article in Nature to improve the quality of your poster. Specific instructions for oral presentations - Oral presentations should be 15 minutes in length, followed by 5 minutes of questions. Slides should be in PDF or Microsoft PowerPoint format. Office 2016 will be installed on the computers. You can use previous versions of Office if you do not have version 2016. If you have video or other animation, make sure that the presentation is compatible with Windows and does not need any extra software. Also, because we cannot guarantee access to the Internet, it is important that you save a copy of your presentation on a USB key. Therefore online presentations system should not be used (Prezi and others). Finally, to ensure that the sessions run smoothly, we will NOT computers to be plugged to the display system. Mac users should ensure that they have a version of Office compatible with Windows PC. Write to Natacha Fontaine if you have questions about posters and presentations. The winner will receive a cash prize of $500 from the CEF. The winner will receive a cash prize of $150 from the CEF.